21 years before its sequel – the World War 2 – ensued, the world got to experience the first war that dyed-in-the-wool the thin line between humanity and animosity. The war, which would later come to be known as World War 1, did not only leave 37 million people dead but also spurred World War II that managed to add a further 75 million to its previous pool of those annihilated as a result of the two World Wars. Well, World War 1 might be the forgotten war like many scholars like to put it (simply because those who saw it happening are currently too old to remember anything. Plus they were too young to understand the seriousness of a war when combatants were busy counting victory as more and more humans fell), but it’s definitely a war that left an indelible mark in human history. A ballpark figure of 65,038,800 men and women were mobilized during this war. Out of this, 8.4 million were from France, 8.9 million from Britain, 12 million from Russia, 11 million from German, 5.6 million from Italy, 4.3 million from the US, and 7.8 million from Austria-Hungary. Russia registered the greatest number of casualties (9, 150,000), followed by Austria-Hungary which had over 90% casualties from the troops they mobilized. Also from the total troops mobilized, 8,538,315 foot soldiers were killed, 7,750,919 held as prisoners, and a further 21,220,000 wounded during the war. To fool the German Pilots into bombing the wrong Paris, Paris built a fake Paris with roads and Railways that were lit during the night. This fake city was designed in such a way that it bore the same resemblance to the real Paris, and when bombers hit it, only the fake buildings and railway lines were destroyed, but no loss of life recorded. And as weird as this simple trick sounds, it actually worked to save millions of lives in France. 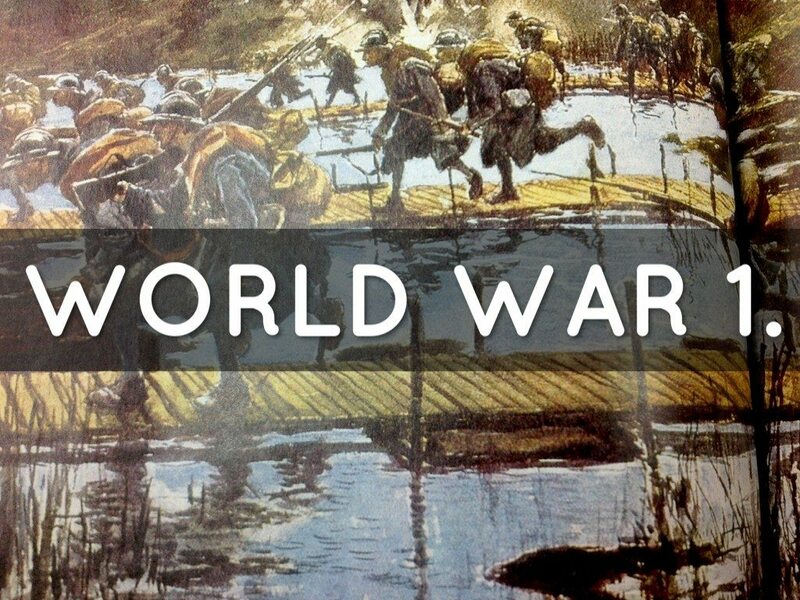 Before World War 2, World War 1 used to go by the name The Great War, or simply World War. It was after World War 2 (in September 1914, to be specific) that English-speaking countries started referring to it as World War 1. In fact, the name was first used by a German Philosopher, Ernst Haeckel, who asserted how the course and character of this war entitled it to the name World War 1. The old battlefields in Belgium and France are believed to still have unexploded ordnances that might resurrect the War’s nightmares to anyone who makes a mistake of stepping on them. Because of that, certain areas—like the Canadian Vimy Memorial field in France—have been restricted from visitors. A further confirmation comes from the farmers who used to work in the fields as they expressively warn other people from visiting such areas. The history of America acknowledges Cheri Ami as one of its heroes during the war. What’s even more surprising is that Cheri Ami wasn’t a soldier, but a bird that flew past bursts of bullets just to get 198 US soldiers rescued from the hands of their enemies. See, these soldiers after fighting hard against their enemies, found themselves surrounded. And in their desperate attempt to get themselves rescued from the looming death, they decided to send a number of pigeons up the sky to herald their position so that they could attract attention from the US army. Most of the bird fell after being shelled with bullets, but only the brave Cher flew—despite getting injured in the process—to get the 198 US foot soldiers rescued. Before the war, the world knew the Hitler with a full moustache. But all this changed after the First World War… a deadlier Hitler with a moustache that could never grow past the size of a tooth-brush was born. Turns out, Hitler was forced to trim down his full moustache just to wear a gas mask, and when he discovered how the trimmed moustache enhanced his not-so-good looks, he decided to embrace the idea. And that’s the Hitler we all know came to exist. British had an additional force that consisted of Chinese Labourers. These labourers didn’t take part in the war, but they are responsible for the trenches that annihilated the bulk of British opponents during the war. And while you’re busy thinking how cruel the British government must have been to force Chinese into this, then you’d be surprised to learn that these labourers were actually recruited by the British army through the Chinese government. The demand for ships before the First World War exceeded the amount of steel available at that time. But since every nation needed a warship to be armed to teeth, they had to figure out an alternative material that could replace steel. And that’s how the idea of concrete ships was born, resulting in the first 10 concrete ships the world would ever have. In fact, as we speak, some of these ships are still retained at the coastal town of British-Colombia. British were actually afraid of an Indian revolt during the war. But instead of revolting, Indians expressed an unprecedented support and loyalty towards Britain with the hope that this could enhance the cause of their Indian Home rule. They provided an army that literally outnumbered the British army, and then send a large supply of money, ammunition, and food to the British army in combat. 47,746 of Indian soldiers were actually killed in the process, while a further 65, 126 wounded. No war has ever altered the map of Europe like the First World War—including the Second World War. All the four great empires of the time were completely wiped out by the war: the Austro-Hungarian, German, Russian and Ottoman. Several nations regained their independence after the war, as new ones got formed. Four dynasties—Habsburgs, Hohenzollerns, Ottoman, and Romanovs all fell together with their adjuvant aristocracies.